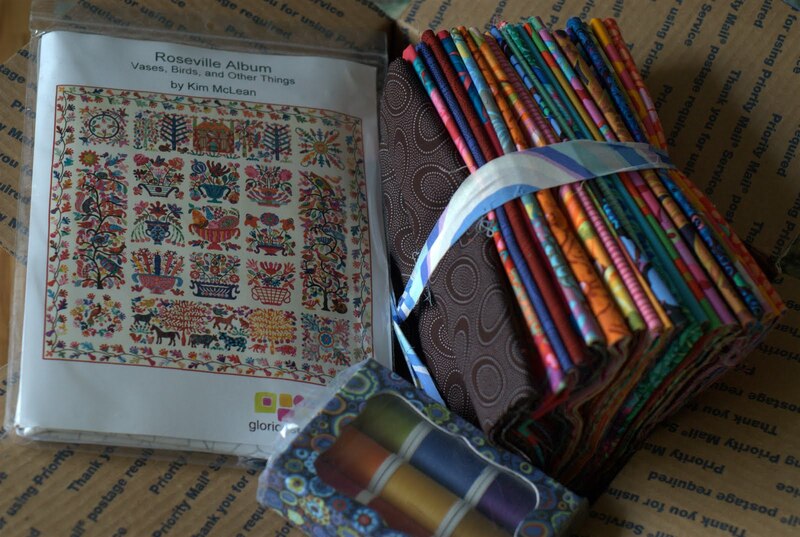 From Glorious Color , the Roseville Album Quilt by Kim McLean! 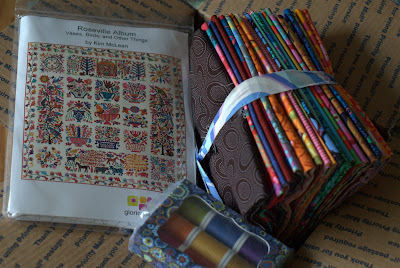 Since I've been more of a "piecer" than an "applique-er", I not only got the pattern and the starter pack of fabrics, but some Rowan cotton thread in "Circus" to get me started. My postman came just a few moments ago to deliver it and I'm really excited to get stuck into this project. I've been sewing on the machine for some time now trying to get projects done, and I was ready to get back to handwork. As it happens I was fortunate to take an intensive three-day applique course with Ted Storm a few weeks ago and being the wonderful teacher that she is, inspired me even more to add applique into my work in the future. Together with finding and now being part of the wonderful blog, Glorious Applique, I hope my skills will continue to grow! So what better way to dive into it than with this quilt? I'm off to get back to that box of goodies!